Been trying for a few years, and finally had success last night. Of course, ran into an unexpected issue with the incubator, and the new order hasn't arrived yet. 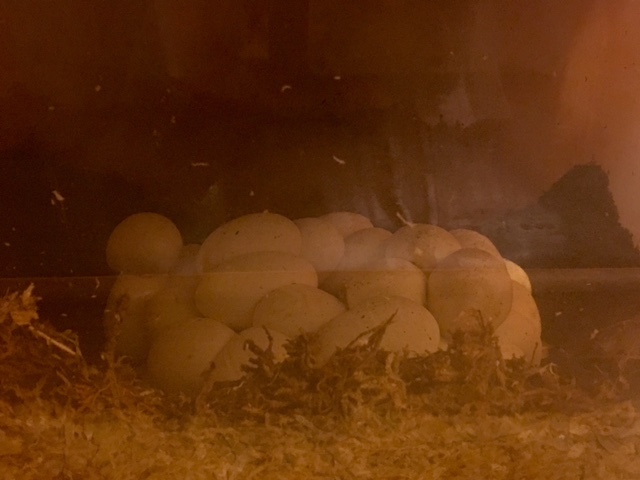 The eggs arrived 4 days earlier than I calculated, and only one day after the lay box was put into the cage. Fingers crossed I can keep the temps and humidity correct until the new one arrives any day.